Can the boundary-bursting categories of the commons penetrate the mighty citadel of Harvard Law School and its entrenched ways of thinking about property, markets and law? I set out to find out last Saturday at the “This Land Is Your Land: Remaking Property After Neoliberalism” conference. The one-day event was convened by Unbound, the Harvard Law journal of the legal left, and the Institute for Global Law and Policy. I had been invited to participate on a panel, “From Homo Economicus to Commoner” and to explore with about 100 students and a few professors how “the left” might approach property rights in some new ways. The liberal/leftist luminary Duncan Kennedy, a founder of the critical legal studies movement and an advisor to Unbound, opened the day with a talk about “property as fetish and tool.” He explained how both the right and the left have their own versions of property fetishism. The right has adopted highly naturalistic arguments that regard property as an entirely natural, ahistorical reality. An example is the right’s imposition of intellectual property rights on countries of the global South. The left, meanwhile, generally regards property law as a “bundle of rights” that is principled and conceptually coherent when it is in fact, he pointed out, simply an incoherent accretion of laws that reflect countless political struggles of the past. The problem with the left, Kennedy suggested, is that it does not have an alternative conception of property law except as a useful tool of left political projects, such as better housing and social conditions. Kennedy implied that it was futile for the left to try to get “outside” of property discourse. Fortunately, Michael Hardt of Duke University – author of Empire and Commonwealth, among other books –objected. He argued that we need to develop a conception of property that lets us think outside of standard property discourse and property relationships. But is this possible and desireable? Conference participants disagreed, and came back to the topic many times throughout the day. I opened the first panel with a talk about how the notional idea of homo economicus is a grotesquely inadequate description of human beings, especially when it is used as the cornerstone for an entire edifice of law, economics and public policy. I cited the rich findings of evolutionary sciences that document the vital role of cooperation and reciprocity. I also cited the empirical realities of the Internet, which show that cooperation and sharing are out-competing conventional markets (open software, Wikipedia, open access publishing, social networking, etc.). After quickly debunking the “tragedy of the commons” parable and introducing Elinor Ostrom’s work, I described the burgeoning international commons movement as a new cultural/political phenomenon – one that I hope may be of interest to the “legal left.” This could be a serious challenge, however, because the commons scrambles many of the familiar categories of modern political thought and worldviews. The dualities of public/private, collective/individual and objective/subjective simply do not apply in the commons because the commons blends these concepts into a different kind of social organism. For example, by requiring commoners to interact directly with the more-than-human world, commoning helps us see that we are intimately connected with “nature”; it is not an inert resource and “other.” The point of moving beyond homo economicus is to get beyond its empirically inaccurate, reductionist and politically regressive categories. A second panel, “Taking Back What Is Ours: Law, Space and the People,” looked at the wide range of citizen movements that are challenging their governments and “the system.” The uprisings in Tunisia, Egypt, Madrid, Istanbul, Greece and the Occupy movement were all cited by Michael Hardt as attempts to transform urban space into common space, with the Gezi Park protest a prime example. Hardt pointed out that while these protests were criticizing privatization, they were certainly not eager to promote state action; rather the protests were attempts to make the spaces common – open, inclusive and democratic – which the state has manifestly refused to do. Hardt took issue with Duncan Kennedy’s claim that it is impossible to get beyond property fetishism and “think outside of property.” “That was the magic of Zuccotti Park,” Hardt said. “It was an experiment in non-property relations. In Gezi, too, that was part of the proposition – to move outside of property and money.” “Property from below” was the goal, he said. Yet Hardt conceded that it is necessary to work with the tools of property law and to engage with the state, even if the larger intoxicating goal is to abolish property and the state. There ensued a discussion about the “joy” that such in-person gatherings on public squares can produce. They are collective examples of moving beyond property relations: “Self management was not seen as onerous or incomprehensible,” Hardt said. Rather “it was seen as a form of life, and even a joy.” And even after the occupations disbanded, the experiences and memories had changed things irrevocably. Another panelist, geographer Mark Purcell of the University of Washington, called the occupations examples of the “down deep delight” of democracy. Even if the moments were ephemeral, the deep down pleasure persisted. Hardt compared it to the 18th Century French notion of “happiness,” which was seen as a lasting quality of good governance. What sorts of institutions are needed to make these kinds of bottom-up authority more legitimate and durable? Hardt believes that representative models of governance are experiencing a serious crisis. “We need to think about how to move ‘beyond representation,’” he said. The heady, speculative thought of the second panel quickly gave way to the bleak legal realism of three property law professors. Echoing Professor Kennedy, the three quickly asserted the inescapability of property law in all discussions about political transformation – and its politically neutral dimensions. In support of Penalver’s view, Professor Rashmi Dyal-Chand of Northeastern University School of Law insisted that property law as it exists on the books is capacious enough to include other visions. Why aren’t we taking advantage of those capabilities? she asked. In other words: don’t blame property law, blame social norms and political culture. The response from some commoners was that property rights and absentee ownership – a defining trait of capitalism – are powerful tools by which owners consolidate and expand their power and privileges in American politics. Their wealth, much of it derived from their privileges as owners, has enabled them to capture and corrupt democratic institutions, which in turn has helped produce great economic inequality and political disenfranchisement. The Supreme Court’s recent ruling in McCutcheon accents this reality. Penalver’s tart defense of property rights drew a stark line between old-style liberals and commoners. While liberals may respect social solidarity as a political goal, they wish to pursue it within the house of property law -- and they regard property law as somehow separate and distinct from politics and democracy. By contrast, while commoners may respect the need to redefine and use property law, they wish to make social solidarity the centerpiece of political struggle. They consign property law to a secondary, supporting role, and assert that strong property rights and anti-democratic politics go hand-in-hand. A new discourse that puts property rights in its proper place is needed. Unbound brought together a great group of commentators and started a very important discussion. I give them a lot of credit for venturing into this new frontier for lawyers and law scholars. But it’s unclear to me whether the legal left at Harvard Law will ultimately retreat into the comfortable embrace of liberalism – which celebrates the intellectual premises and social relationships embedded in conventional property law – or whether it will strike off into uncharted new territory and summon the courage and creativity to become commoners. It may be that real innovations in legal thinking will only emerge outside of the legal guild, among practitioners, and outside of places like Harvard where the disabling encrustations of prestige, privilege and peer expectations are significant. But I hope I'm wrong. This article was shared under a Creative Commons 3.0 Attribution license (CC BY 3.0 US). 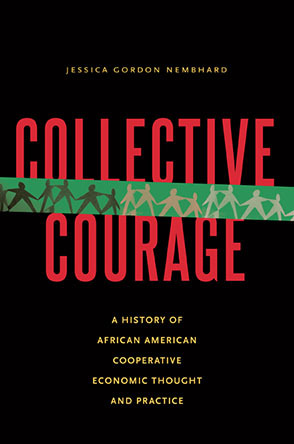 David Bollier is an author, activist, blogger and consultant. His full bio can be found on his blog.